IMAN’s Corner Store Campaign was awarded a Healthy Chicago 2.0 Seed Grant by the City of Chicago for its innovative approach toward “promoting heath in a community including access to social services and healthy food, safe public spaces, social cohesion and collaboration.” This grant will fund the launch of the new produce distribution system providing local corner stores with fresh fruits and vegetables. Building healthy communities requires holistic support, and the Corner Store Campaign’s produce distribution system is designed to address that need in an innovative, sustainable way. IMAN Health Clinic patients will be offered coupons redeemable at local corner stores, as well as at IMAN’s weekly Fresh Beats & Eats Farmers Market. 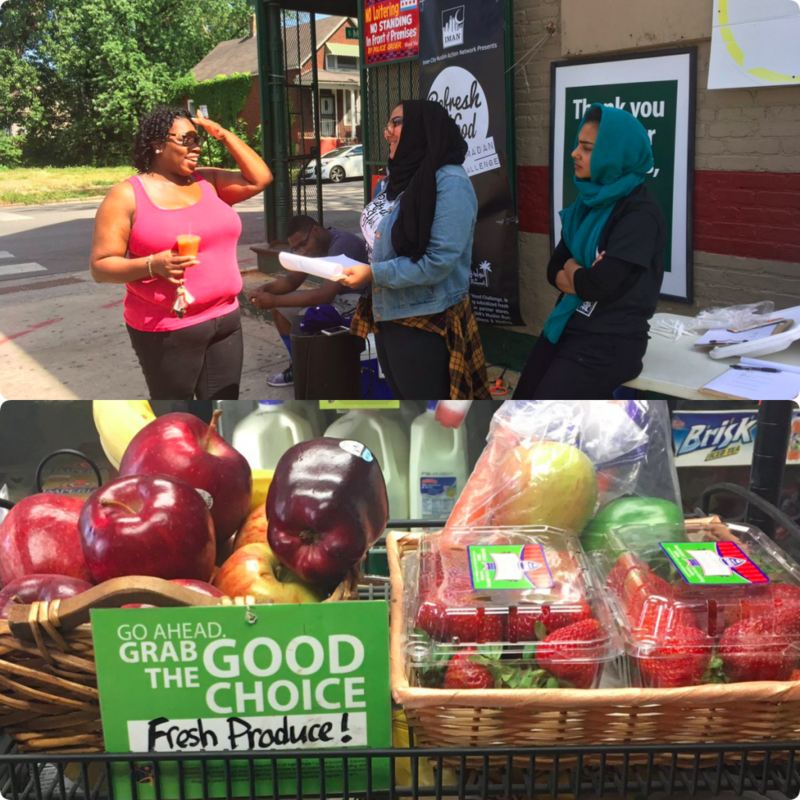 This produce distribution model—now possible with the Healthy Chicago funding—facilitates mutual, community-wide benefits: corner stores are incentivized to increase fresh produce sales, while residents enjoy easier access to fruits and vegetables. Individuals and families deserve access to healthy food options, no matter the zip code in which they reside. IMAN’s Corner Store Campaign works to bring this basic right into reality through initiatives like the produce distribution system. For more information about the Corner Store Campaign, or to join this dynamic team of community organizers and leaders, email Campaign Manager Sara Hamdan at sara@imancentral.org. This entry was posted in News, One Chicago, Organizing & Advocacy by Sara Hamdan. Bookmark the permalink.